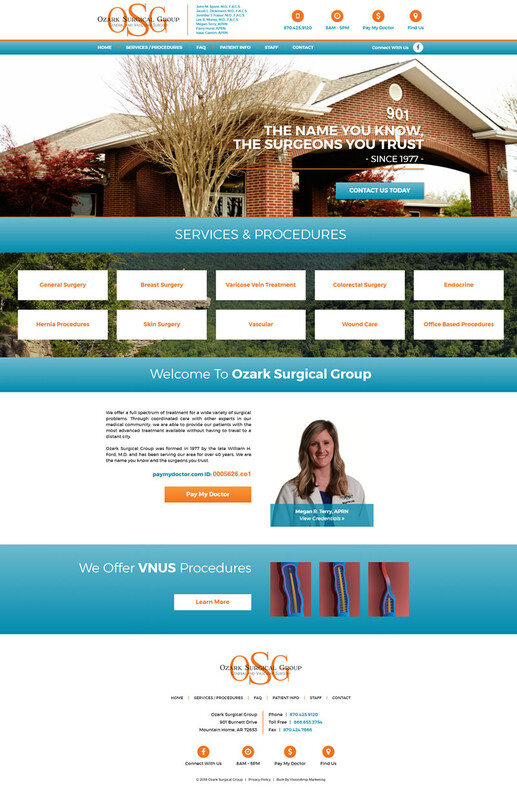 We worked with Ozark Surgical Group to update their existing website. The new mobile-friendly and responsive website is eye-catching with a new color scheme and large images. Visitors to the site can quickly and easily find information about services and procedures offered by using the navigation menu or by using buttons located on the homepage. Patients can also access forms on the updated website and pay their bill online. Ozark Surgical Group is located in Mountain Home, Arkansas. They offer a full spectrum of treatment for a wide variety of surgical problems.